I posted this by accident because I did not understand how to use the WordPress video embedding utility. Please read my next post if you are interested in my thoughts on this subject. Stupidity in big organizations is not a bug. It’s a feature. So say two scholars, Mats Alvesson of Lund University in Sweden and Andre Spicer of City University in England, in their recent paper, The Stupidity Factor in Organizations. They say organizations need “functional stupidity,” which is a willful lack of recognition of the incompleteness of knowledge and a willful refusal to question the organization’s goals and policies. This builds confidence and loyalty which helps the organization to function smoothly. Alvesson and Spicer discuss how managers use vision statements, motivational meetings and corporate culture as “stupidity management” to develop loyalty and suppress critical thinking. They discuss how employees use “stupidity self-management” to suppress doubt and get with the program. In Herman Wouk’s novel, The Caine Mutiny, a recruit decides that the U.S. Navy is an organization designed by geniuses to be operated by idiots. When in doubt, he asks himself, “What would I do if I were a idiot?” That is a gross exaggeration, but an exaggeration of truth. Managers want employees who are intelligent enough to carry out orders competently, but not so intelligent that they question the orders. Critical thinking creates friction that prevents the organization from running smoothly. Over time the organization’s tendency is eliminate that friction, and become more disconnected from reality. You can see this in how Washington officials and journalists understand politics. 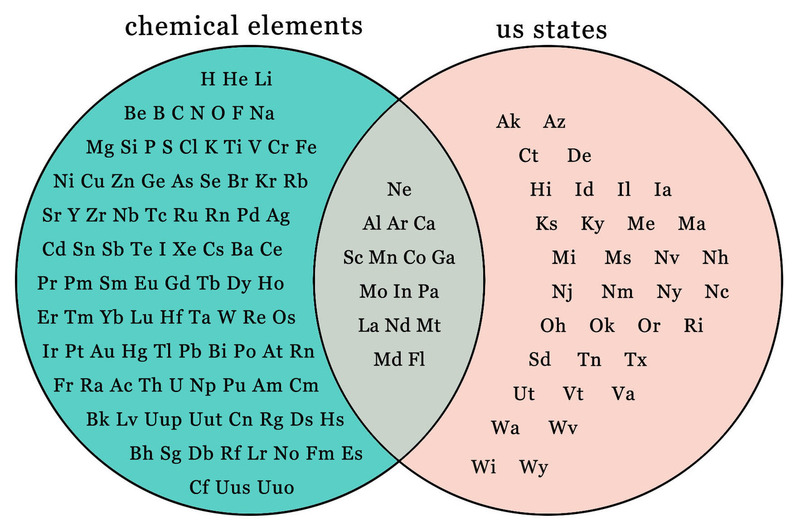 They treat the processes of government, such as the 60-vote rule in the Senate or the revolving door between corporate and government employment, as if they were objective and unchangeable facts, like the laws of thermodynamics. They treat actual problems, such as unemployment or global climate change, as if they were matters of personal preference. The trouble with ignoring reality is that sooner or later it catches up with you. Then crisis generates what Alvesson and Spicer call the “How could I have been so stupid?” syndrome. Click on A Stupidity Based Theory of Organizations for a PDF of Alvesson’s and Spicer’s paper. If you read it with close attention, I think you will see the dry humor beneath their social science jargon. Click on Understanding Organizational Stupidity for Dmitry Orlov’s summary of their paper and his comments. 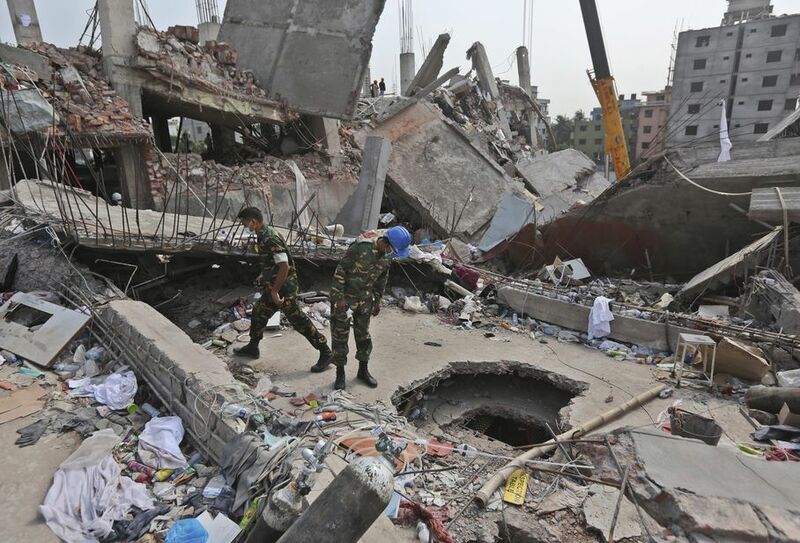 More than 375 garment workers died last week in Bangladesh as the roof of their building collapsed. The response of Slate’s Matthew Yglesias was that people in Bangladesh ought to be free to work under unsafe conditions if that is their choice. Bangladesh is a lot poorer than the United States, and there are very good reasons for Bangladeshi people to make different choices in this regard than Americans. That’s true whether you’re talking about an individual calculus or a collective calculus. 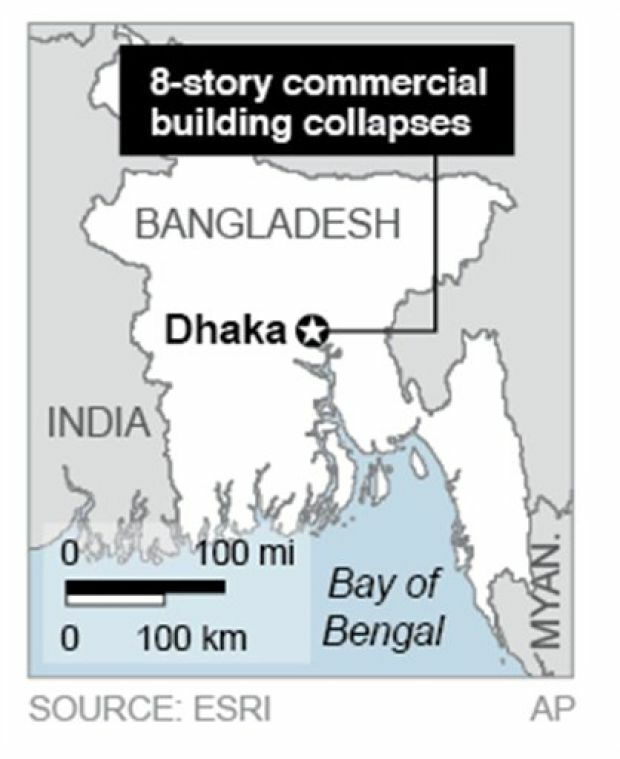 Safety rules that are appropriate for the United States would be unnecessarily immiserating in much poorer Bangladesh. Rules that are appropriate in Bangladesh would be far too flimsy for the richer and more risk-averse United States. Split the difference and you’ll get rules that are appropriate for nobody. The current system of letting different countries have different rules is working fine. Notice the rhetorical two-step. Yglesias switches back and forth between something obviously true but meaningless, namely that Bangladesh and the United States don’t need to have the exact same safety rules, and something outrageous but false, that the deaths of the workers in Bangladesh are the result of them making different choices than U.S. workers. “Different choices.” American retailers make choices as to which low-wage foreign supplier they’ll go to garments. Bangladeshi manufacturers make choices as to whether or not to repair roofs so they won’t collapse. Bangladeshi workers also were offered a choice. Some workers had reportedly noticed a crack in the building’s edifice shortly before the incident, but their warnings went ignored. Some were told to report to work anyway or risk losing a month’s wages. With minimum pay set below $40 per month (about the retail price of a typical sweater they might produce), workers could ill afford to be concerned about their safety, and so they followed orders and reported to what would be for many their last day of work. via Working In These Times. Workers in the United States worked under the same conditions 100 to 150 years ago. The same arguments about freedom of choice were made to to justify the status quo. Unionized workers were killed in battles with company police, state militias and federal troops. Wages and safety standards were raised not by the magic of the market, but by collective bargaining by unions and by the federal laws and regulations established in the Progressive, New Deal and Great Society eras. If you follow my blog, you might wonder how my concern with worker safety fits in with my new-found interest in anarchism. How can someone who wants a world without government call for better enforcement of worker safety laws? Actually, I’m not a strict anarchist, just sort of anarchish. 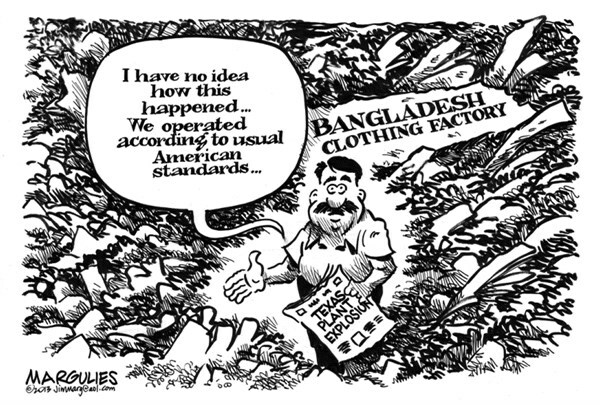 My understanding is that in an anarchist world, the Bangladeshi garment factories would be controlled by syndicates of workers, and they would determine their own safety rules. And they probably would manufacture for local customers rather than for a global supply network run by people who didn’t know or care about local conditions. Another solution would be to replace the World Trade Organization with another international organization that would allow sanctions against countries that denied workers the right to bargain collectively or that refused to enforce minimum standards for worker safety and health. In These Times magazine reported that Bangladeshi and international trade unionists have proposed a surcharge of 10 cents a garment on Bangladeshi exports to improve the country’s manufacturing infrastructure. Such a surcharge wouldn’t put any company at a competitive disadvantage because they’d all pay. It wouldn’t be a burden on Bangladesh because foreigners would pay the surcharge. It would be too small to appreciably affect sales of individual garments, but the magazine said it would raise an estimated $600 million a year, enough to considerably improve conditions. Click on International factory safety for Matt Yglesias’s complete post, and Some further thoughts on Bangladesh for his reply to criticism. Click on Would it not be easier for Matt Yglesias to dissolve the Bangladeshi people and elect another? for comment on the Crooked Timber web log. Click on No, Matt Yglesias, Bangladeshi Workers Did Not Choose to be Crushed to Death for comment in In These Times magazine. Back in the day (which was before people used the expression “back in the day”), I was reasonably satisfied with the society I lived in. I thought there were four possible ways to organize society—free-market democracy, socialist democracy, Communism and fascism. The dividing line between the first two and second two was democracy vs. dictatorship; the dividing line between the first and last and the middle two was capitalism vs. socialism. For me, the key dividing line was between democracy and dictatorship. I was satisfied with free-market democracy, but open-minded about social democracy. I recognized the existence of poverty, racism and other social ills, but I thought the United States and other democratic countries were steadily overcoming these wrongs. Nowadays Communism has vanished from the map of history, and state socialism is fading. But the forward progress of our free-market democracy has ceased. Instead we are stuck in a state of perpetual war, perpetual martial law and perpetual economic decline, with impunity from the law for the financial and governmental elite and a police state for everyone else. There is no longer a bright dividing line between our present system and fascism. I was wrong in my assumptions about how things were, and I need to rethink my philosophy. I want to learn more about anarchism, a philosophy based on individual liberty and voluntary cooperation, outside my four-box matrix..
With this in mind, I joined a reading group sponsored by Rochester Red and Black, a local anarchist organization. It was the first time in many years I have been the most conservative person in a room. 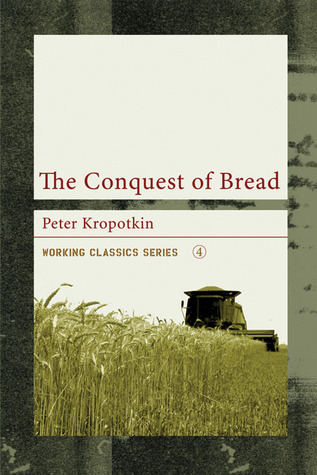 We finished reading Peter Kropotkin’s 1892 anarchist classic, The Conquest of Bread last Sunday. I wrote about my impressions of the book in my previous post. I took forward to rejoining the group for their next book and expect to write a post about it on this web log. Anarchists have a bad name because, in the 19th and early 20th centuries, they were associated with revolutionary violence. An anarchist assassinated President William McKinley. Anarchists murdered the Czar of Russia, the President of France and the King of Italy. I don’t advocate or justify this type of anarchism, although I’d guess that the number of people killed by anarchists in 200 years is fewer than the number of people killed as a result of the actions of the Bush and Obama administrations, let alone the mass killings of Stalin or Mao. I think anarchism fits well with the strategy of non-violent defiance developed by Gene Sharp. The problem with the so-called revolutionary liberation movements of the 20th century was not that they used violence against their enemies, but that they used violent repression to keep their followers in line. Leaders who renounce violence (at least as their main method) renounce compulsion. Their movements require the understanding and voluntary support of their followers, which is anarchism in action. For the past few years I have been reading works by a German philosopher named Jurgen Habermas. 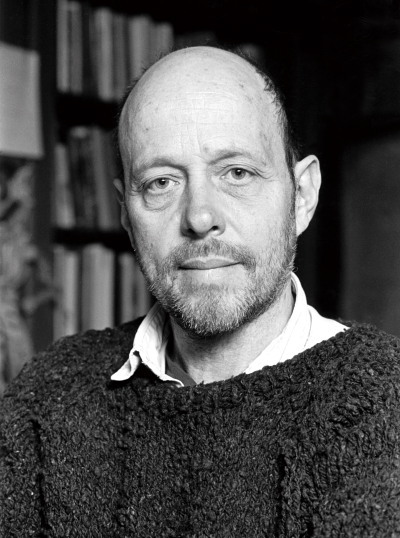 He says that in modern times, human activity is divided between what he calls the Life World and the System World. The Life World consists of individual human beings, their feelings, thoughts and desires and their responses to each other. The System World consists of the impersonal requirements of governmental and capitalistic systems, to which people are forced to conform because they see no alternative. In our times the System World is pushing down hard on the Life World. One of the ways to push back is through what Habermas calls “communicative action”—individual human beings turning off the TV set and letting the world know what they think of it. Click on Rochester Red and Black for that group’s home page. I read The Conquest of Bread, the classic 1892 work by the anarchist thinker Peter Kropotkin, as part of a reading group organized by Rochester Red and Black. Kropotkin was a revolutionary communist anarchist. He was dead serious about eliminating government, laws, money and corporations, as well as private property over and above what an individual could personally use. How can you be both a communist and an anarchist? The one thing that libertarians, socialists, conservatives and liberals agree on nowadays is that equality and liberty are tradeoffs—that to get more equality, you have to sacrifice liberty, and vice versa. Kropotkin pointed out that this hasn’t always been true. Many traditional cultures, including Russian villages of his day, had both more sharing and more freedom than most of us enjoy today. People helped each other out of neighborliness and offered hospitality to strangers out of kindness. Life did not center on earning money. There are still places like this, such as the Virginia mountain town described by Barbara Holland in Bingo Night at the Fire Hall, where people she didn’t know helped her in emergencies and acted insulted when she offered payment. Kropotkin pointed out that even the existing capitalistic and authoritarian system of Kropotkin’s day, many important things were accomplished through voluntary cooperation. The international scientific community functioned without any particular individual in charge. Voluntary organizations such as the Red Cross and lighthouse networks performed important public functions. Capitalistic businesses themselves were able to integrate railroads and canals without a central planning organization to give orders. And many public services, such as highways, street lighting and public libraries, were provided free—following the principle of to each according to their needs. Surely, Kropotkin argued, if so much has been accomplished under a system devoted to personal profit, how much more can be accomplished under the rule of the people in a system devoted to the public good! He thought the progress of science had brought abundance for all within reach. And he said to the capitalists of his day, “You didn’t build that.” Since this progress was achieved by previous generations, he said, all of the present generation have the right to share in its fruits and none of us, in his view, had the right to appropriate the fruits for their exclusive benefit. Since Kropotkin’s day, the role of voluntary associations has contracted, and the provision of universal services is under attack. Most of the world’s governments, big corporations and international organizations adhere to the so-called “neo-liberal” ideology, which says that all of human society should be organized on the model of the for-profit corporation. Kropotkin’s philosophy provides a basis for pushing back in defense of the individual and the commons. His anarchism is the opposite of Leninism or even Fabian socialism, in which decision-making is delegated to a tiny circle of masterminds and the mass of the people are bystanders. Kropotkin said revolutionary reigns of terror created new systems of oppression that were worse than the old. He lived to see the Bolshevik Revolution, and foresaw all the evils that would flow from it. Now I doubt a full-blown anarchist society is feasible, and I’m not sure how I would fit into one if it were. Governments, laws, money and the operation of supply and demand, however distorted they are in practice, do serve a function that a future anarchist society would have to duplicate. I’m too much of an egoist to be part of a collective. I’m too distrustful of human nature to give up the Constitution and Bill of Rights and trust to public opinion to safeguard my rights. When I think about a society wiping the slate clean and starting over fresh, I think of Mao’s Cultural Revolution. Perhaps some of these questions will be resolved as I read and study more about anarchism. In any case I don’t think that living under anarchism is something I’m going to have to deal with in my lifetime (I’m 76). Kropotkin’s ideas for me represent a direction, not a blueprint. 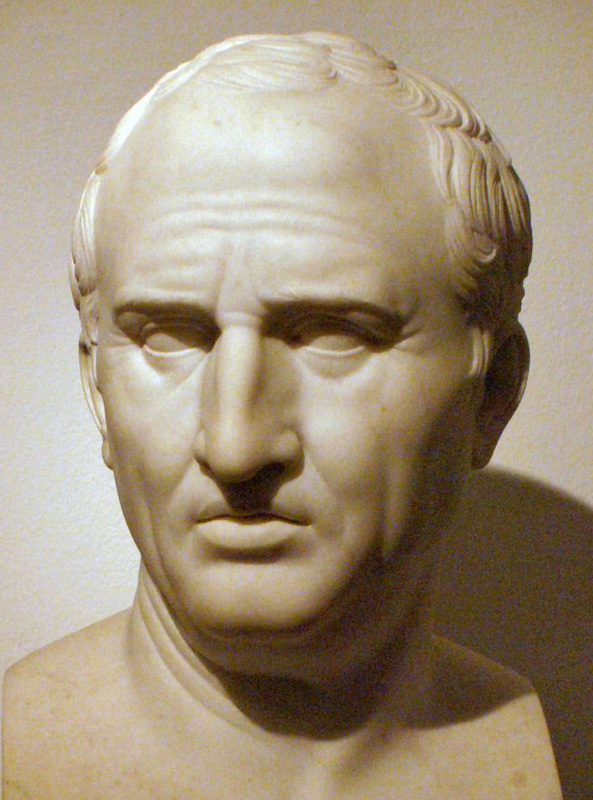 The direction is toward a society without hierarchy, or at least with a minimum of hierarchy. I like Kropotkin’s sunny optimism, his humane spirit, his questioning of fundamental assumptions and especially his belief that a better world is possible. I refuse to accept what we have in the USA today as the best that we can hope for. Click on In Praise of Anarchy, Part One, Part Two and Part Three for a discussion of Peter Kropotkin’s thought by Dmitri Orlov. I don’t know what to make of the Boston Marathon bombing and killings. Here are some links that provide food for thought. Prof. Juan Cole, a professor of Middle East history, speculated that the accused killers, Dzhokar and Tamerlan Tsarnayev, were acting out some sort of rebellion against their father, who was connected to the Russian security services. I put a link to his post in my Interesting Reading menu, then took it down when Cole backtracked on some of his factual assertions. Click on Fathers and Sons and Chechnya for his post. The comment thread is as interesting as the post itself. The two brothers are Chechens, a fierce Muslim warrior people who have been fighting for independence from Russia for about 200 years. Tsar Nicholas II fought the Chechens and so did Vladimir Putin. Leo Tolstoy’s first novel, The Cossacks, was based on his military service against the Chechens. But a spokesman for the Chechen rebels says they have no connection with the Tsarnayev brothers. Click on Chechen Jihadis Reject Tsarnayevs to read the statement. Click on Russian politics: Chechnya and the bombs in Boston for background from The Economist. A native of Ukraine, another part of the former Soviet Union, was arrested with bombs a week prior to the Boston massacre. Click on Mykyta Panasenko Arrested at New Jersey Train Station With 2 Bombs, 8 Days Before Boston Bombings for a report from Huffington Post. [4/22/13] Click on Tamerlan Tsarnev in Dagestan: the Unanswered Questions for a report from The Guardian. The writer wonders why the Russian government warned the FBI against Tamerlan Tsarnev, then let him travel in a hot spot of the Chechen rebellion. [Added 4/30/13] Click on Meet the Chechens for Dimitri Orlov’s view of the Chechen culture. [Added 5/3/13] Click on FBI Spiked Chechen Jihadi Investigation for reporting by Greg Palast. He said the FBI failed to keep track of the Tsarnayev brothers because investigation might reveal embarrassing facts about CIA and other U.S. involvement with Muslim jihadists. It is well-known that the Carter and Reagan administrations supported Muslim jihadists in their fight against the Soviet-backed government of Afghanistan. The Clinton administration channeled aid to Bosnian Muslims through Saudi-backed jihadist groups. The Obama administration, while fighting jihadists in Afghanistan, Pakistan and Yemen, supported equivalent groups fighting Qaddafi in Libya and Asad in Syria. None of this, as Palast points out, is evidence of a U.S. connection with the Tsarnayev brothers. But it shows that U.S. security may be compromised by fear of bringing sensitive information to light. [5/4/13] A friend of mine, who was born in Central Asia, educated in Russia and now is an American citizen, speculates that the Tsarnayev brothers may have been manipulated by Russian intelligence operatives. Their purpose would be to stir up American hatred of Muslims and especially the Muslim rebels in Chechnia, and to keep the United States bogged down in military intervention in the Islamic world. She said she knew of Imams who were actually KGB agents, and speculated the Tsarnayev brothers may have been under the influence of a supposed religious leader who was an agent of the Russian government. All this is pure guesswork. I am very interested to hear what Tamerlan Dzokhar Tsarnayev has to say. It is hard for me to come to any conclusion without hearing his account of what he did and why. It is worth noting, perhaps, that such practices have little to do with the traditional religious culture in Chechnya itself. A source close to the family tells me that Anzor, the father, even denounced his son’s behavior—especially his decision to marry an American woman rather than a Chechen—as a rejection of their Chechen roots. At the Cambridge mosque where Tamerlan sometimes worshiped, he attracted attention on at least two occasions during prayer services by speaking out against moderate imams who were preaching the virtues of tolerance. We now have, perhaps, some idea of what he must have been looking at. The YouTube page registered under Tamerlan’s name has links to rousing sermons by imams (in English) and an instructional video explaining the proper way to perform Muslim rituals (in Russian). But there’s also a clip entitled “The Emergence of Prophesy: Black Flags from Khorasan,” a rousing jihadi anthem favored by al-Qaeda. Another features a ballad that extols the exploits of the Chechen jihadis in their war against the Russians. For a young Muslim firebrand with roots in the North Caucasus, this must have made for a heady mix of adventure, violence, and seductive (though horribly misguided) idealism—a stark contrast with the grubby reality in which Tamerlan was an unemployed stay-at-home father of a small girl, a man with no visible prospects, dependent on a wife who was working long hours as a home caregiver. This was hardly the grandiose life that his worshipful parents had foreseen for him. [5/8/13] The Boston Globe reported that Bullet that nearly killed MBTA police officer in Watertown gunfight came from friendly fire. having heard only the first. As an example, lobbying by the Corrections Corporation of America helped bring about passage of the Arizona law allowing for arrests of people who can’t produce proof of citizenship. 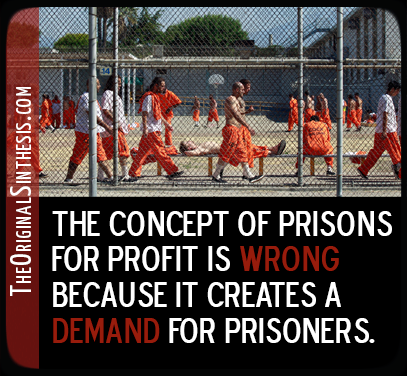 Click on Private Prisons and the Arizona Anti-Immigration Law for details. Comparing nations, they reported that the greater the amount of inequality in a society, the higher the percentage employed in guard labor. The following is from an interview with Samuel Bowles in the Santa Fe Reporter. The job descriptions of guard labor range from “imposing work discipline”—think of the corporate IT spies who keep desk jockeys from slacking off online—to enforcing laws, like the officers in the Santa Fe Police Department paddy wagon parked outside of Walmart. The greater the inequalities in a society, the more guard labor it requires, Bowles finds. This holds true among US states, with relatively unequal states like New Mexico employing a greater share of guard labor than relatively egalitarian states like Wisconsin. The problem, Bowles argues, is that too much guard labor sustains “illegitimate inequalities,” creating a drag on the economy. All of the people in guard labor jobs could be doing something more productive with their time—perhaps starting their own businesses or helping to reduce the US trade deficit with China. The category of “guard labor” includes police, prison guards, court workers, military and civilian employees of the Department of Defense and private guards, as well as monitors and supervisors with the power to reward and punish. They do not count employees of companies that make burglar alarms, video surveillance cameras and other security equipment. They do count the unemployed and prisoners, which may seem like a stretch. Bowles and Jayadev argue that if nobody was out of work and nobody was in jail, there wouldn’t be any way to keep the rest of the population in line. This is in line with Karl Marx’s idea that employers need a “reserve army” of the unemployed to keep wages low. But even excluding the unemployed, Bowles and Jayadev said that “guard labor” is about a fifth of the American work force. 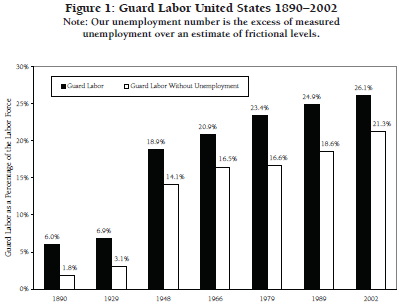 The chart below shows the growth of guard labor in the United States. By their count, the percentage of U.S. workers in guard labor nearly quadrupled in the 20th century, and increased more than 10 times if you don’t count the unemployed. This is old information, but I don’t think the trend has reversed. 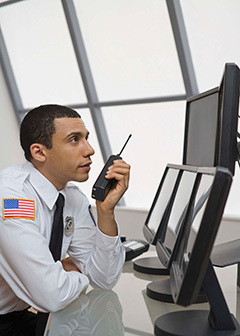 I see armed security guards and video monitors everywhere I go and, while I’m retired, my friends tell me that work conditions are getting more and more restrictive. In the best of societies, there will be a need for a certain number of supervisors, monitors, police, courts, prison guards and military forces, and there will be a certain number of prison inmates and job-seekers. But Bowles and Jayadev found that the percentage is much greater in nations with a high degree of economic inequality, such as the USA, which has more than double the percentage of guard labor of Sweden or Denmark. Where there are no extremes of rich and poor, it is not necessary to devote so much effort to keeping people in line. Click on Guard Labor PDF to read the 2006 paper by Samuel Bowels and Arjun Jayadev. Click on Garrison America PDF to read the 2007 paper by Samuel Bowles and Arjun Jayadev. Click on Crime and Punishment: Some Costs of Inequality for a report by Nancy Folbre in the New York Times. Click on Born Poor? Santa Fe Economist Samuel Bowles Says You’d Better Get Used to It for the full interview in the Santa Fe Reporter. 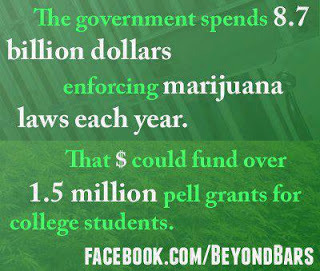 Click on Vested interests in mass incarceration for an earlier post of mine on a related subject. Hat tip to Nina Paley for the Mimi and Eunice cartoon. Samuel Bowles and Arjun Jayadev wrote about this more recently in the New York Times. Anarchism is the political credo that rejects all forms of compulsory authority and believes society can be organized on the basis of individual freedom and voluntary cooperation. Yale professor James C. Scott is not a full-blown anarchist, but in his short and highly readable book, TWO CHEERS FOR ANARCHISM: Six Easy Pieces on Autonomy, Dignity and Meaningful Work and Play, he makes the case that a bit more anarchism in American life would do us good. We are so used to obeying authority that many of us have lost the habit of acting for ourselves, Scott wrote. Once he shocked a friend of his, a Dutch college professor who considered himself a Maoist revolutionary, by crossing the street against the traffic light when there was no traffic on the street. Scott advocates “anarchist calisthenics”—occasionally violating a rule or law that makes no sense just to break the habit of submission. How necessary are traffic lights? Scott told how Hans Moderman, a traffic engineer in the city of Drachten, the Netherlands, noticed that traffic flow improved when electrical failures put traffic lights out of commission. In 1999, he replaced traffic lights at the city’s busiest intersection with a traffic circle, an extended bicycle path and a pedestrian area. The number of traffic accidents fell dramatically. Relying on drivers to use good sense was more effective than demanding they obey signs. In fact, the traffic signals may have been counterproductive, because they distracted drivers from the road, and they created a false sense of safety. Many Dutch towns now advertise themselves as “free of traffic signs.” The lesson learned from this experiment can be applied to other things besides traffic. That is one of Scott’s examples of mild anarchism in action. Another is a children’s playground in Denmark in 1943 which, instead of building swings, seesaws and sliding boards for the children to use, simply opened up a raw building site with lumber, shovels, nails and tools and left them to the children to do as they wished. It was hugely popular, but soon ran into trouble. Some children hoarded lumber and tools for their own use. Fighting and raids broke out. Adults were on the verge of closing the playground down when the youngsters themselves conducted a salvage drive to retrieve the hidden materials and organized a system for sharing tools and lumber. The children learned a valuable lesson in self-government, which they would not have learned from adult supervision. “Adventure playgrounds” have since become popular in many parts of the world. Scott pointed out that to the casual observer, they look messy and disorderly, but in fact are not. That is the planner’s disease—to impose external order for the sake of appearances, and disregard the hidden order that already exists. Scott said the limitations of hierarchy and top-down planning are shown by the fact that one of the most effective forms of labor union action is “work to rule”—to simply carry out orders and follow procedures as given, rather than use individual judgment. Bureaucrats and executives think they are in charge, and do not realize how much they depend on the initiative and knowledge from below. In government, he wrote, it is better to put up with the messiness of democracy than to abdicate to supposedly neutral experts and technocrats. Sometimes it is better to put up with the even greater messiness of direct action than to insist that people work within the system. Most of the great reform movements in American history—abolition of slavery, women’s suffrage, the labor union movement, the civil rights movement—were achieved by people who were willing to break laws and defy authority. Scott devoted a section of his book to praise of the “petty bourgeosie”—independent farmers, craft workers and shopkeepers, who are not subject to bosses. This social class has a bad name among left-wing radicals, but, as he pointed out, it is during the periods of history that the petty bourgeosie have been in the majority that society has come closest to worker ownership of the means of production. He entitled his book Two Cheers for Anarchism instead of three cheers because he does not think it really is possible to do without government. Nor does he think authority is always wrong or the masses are always right. When the federal government imposed school desegregation against the wishes of the majority of the people of the South (that is, the overwhelming majority of the white people), it promoted liberty. But such examples are rare, he said. Click on The American Conservative, The Coffin Factory, The Los Angeles Review of Books and The Wall Street Journal for other reviews of the book and The New York Times for a profile of Scott. The video tells how “free trade” agreements set up international tribunals to which corporations can appeal to override national laws, regulations and court decisions that protect workers, consumers and the environment. It tells of how Chevron polluted a large area of Ecuador, how the local people after a long struggle won an award for damages or how Chevron overturned those damages. Similar international tribunals would be set up under the proposed Trans-Pacific Partnership Agreement and under a new agreement the Obama administration is negotiating with the European Union. Huffington Post reporters say the proposed US-EU agreement calls for mechanisms of “investor-state dispute resolution,” which would allow a company to appeal a regulation or law to an international tribunal. The tribunal would be given authority to impose economic sanctions against the United States or any other country that refused to repeal the objectionable law or regulation. Let’s assume for the sake of argument that this international tribunal would be impartial, and not stacked in favor of corporations. It still would be a bad idea because it would be one-sided. The proposed agreement creates now corporate rights, but it does nothing to protect the rights of workers, consumers and citizens. 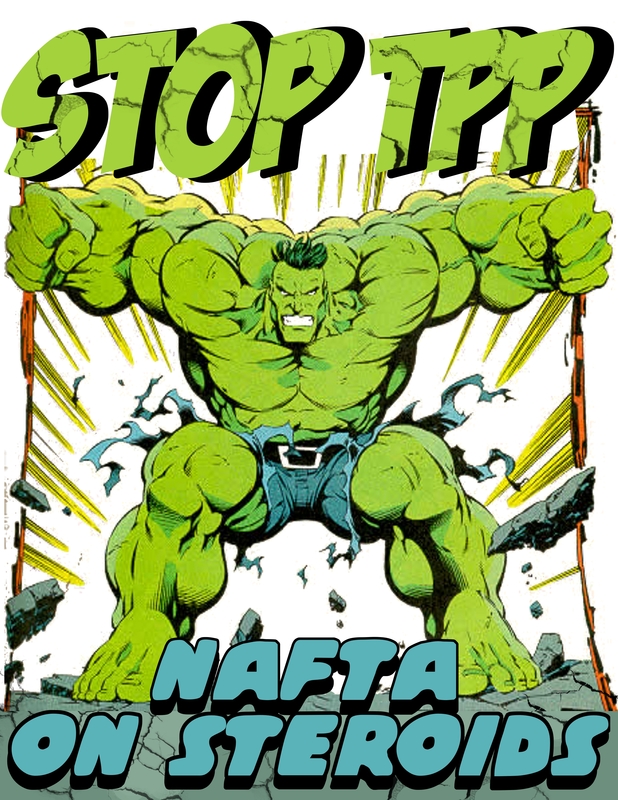 International trade agreements are not inherently bad. They could be used to raise rather than lower international standards. I can imagine a treaty to sanction nations that export products that are hazardous to human health and safety, or that gain a competitive advantage by violating agreed-upon labor and environmental standards. But under the proposed US-EU treaty and Trans-Pacific Partnership Agreement, the reverse would be true. Sanctions would be applied against nations for protecting consumers, workers and the environment. 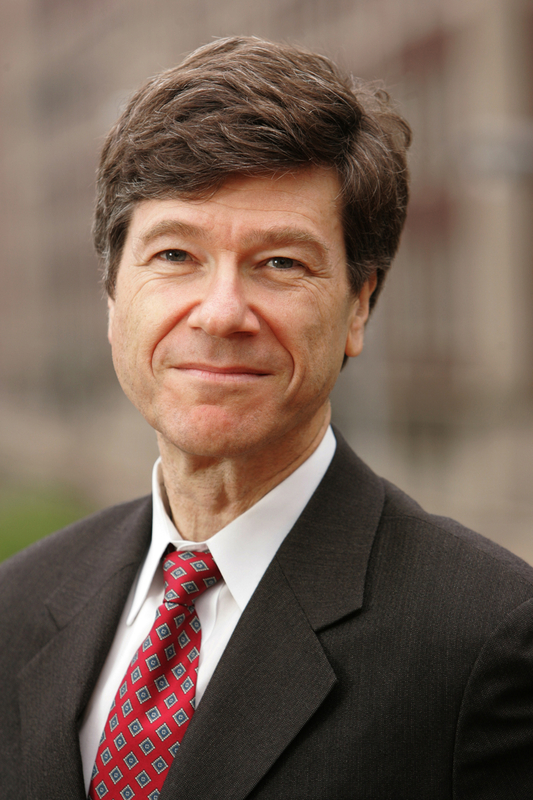 Jeffrey Sachs is a well-regarded American economist, who is director of the Earth Institute at Columbia University. Last week he took part in a conference sponsored by the Drexel University at the Federal Reserve Bank of Philadelphia on how to fix the banking system. This is part of what he had to say. I regard the moral environment as pathological. And I’m talking about the human interactions that I have. I’ve not seen anything like this, not felt it so palpably. These people are out to make billions of dollars and nothing should stop them from that. They have no responsibility to pay taxes. They have no responsibility to their clients. They have no responsibility to people, counterparties in transactions. They are tough, greedy, aggressive, and feel absolutely out of control, you know, in a quite literal sense. And they have gamed the system to a remarkable extent, and they have a docile president, a docile White House, and a docile regulatory system that absolutely can’t find its voice. It’s terrified of these companies. If you look at the campaign contributions … … the financial markets are the number one campaign contributors in the U.S. system now. We have a corrupt politics to the core, I’m afraid to say, and no party is—I mean there’s—if not both parties are up to their necks in this. This has nothing to do with Democrats or Republicans. It really doesn’t have anything to do with right wing or left wing, by the way. The corruption is, as far as I can see, everywhere. But what it’s led to is this sense of impunity that is really stunning, and you feel it on the individual level right now, and it’s very, very unhealthy. The significance is not so much the content of what he is saying, which has been obvious for some time, as that he as a member of the American economics establishment is saying it. via Obsidian Wings: A poem. Everyone has the obligation to ponder well his own specific traits of character. He must also regulate them adequately and not wonder whether someone else’s traits might suit him better. The more definitely his own a man’s character is, the better it fits him. Is it a bird? Is it a plane? No, it’s Wingsuit Man! Alexander Polli is a star player in Wingsuit Flying, a sport I never heard of, until I saw this video. He does things I wouldn’t have thought humanly possible, until I saw this video. Click on Wingsuit flying wiki for background. The Guttmacher Institute is a non-profit organization devoted to research and education in birth control, sexual education, reproductive health, reproductive rights and population issues. 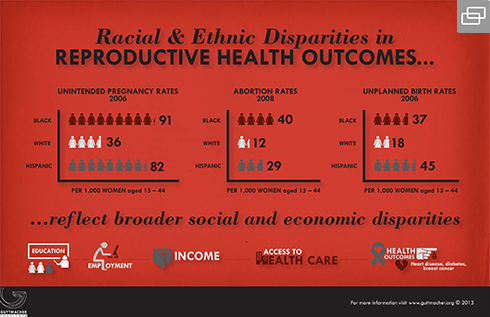 Recently the institute published five infographics summing up the basic facts about abortion in the United States today. 1. 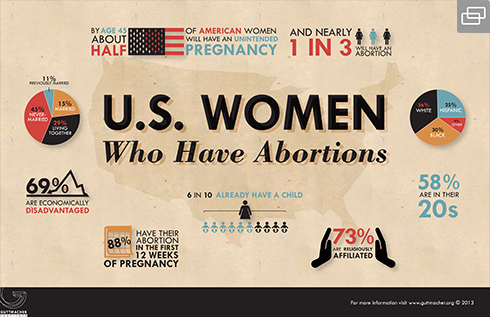 Nearly half of American woman have unwanted pregnancies and nearly one in three will have an abortion before age 45. 2. 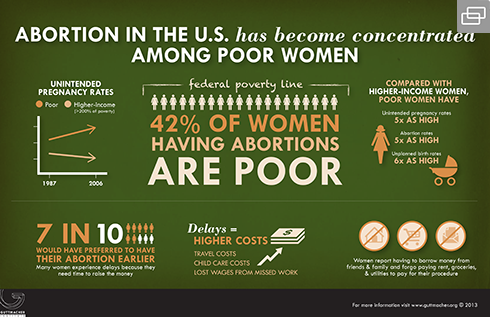 Poor American women are five times as likely to have abortions as higher-income women. 4. 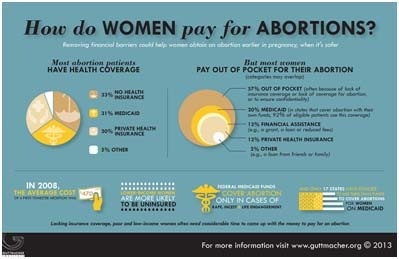 Most abortions are paid for out-of-pocket, even though most abortion patients have health insurance. 5. 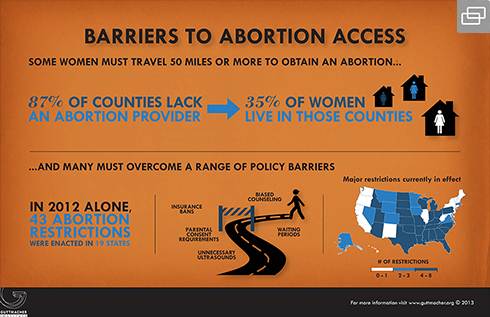 Many American women must travel long distances and overcome government barriers to obtain abortions. 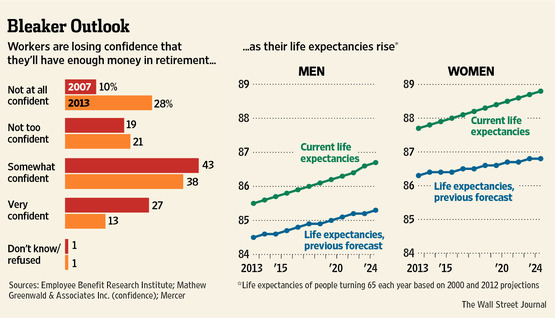 Click on Roe at 40: New Infographics Illustrate Key Facts for more detail. Are journalists biased in favor of abortion? Back in the 1980s, when I was a reporter for the Rochester (NY) Democrat and Chronicle, we had a managing editor who used the newsroom e-mail system to provoke discussion and bring the newsroom closer together as a group. One day he conducted a poll on whether we were pro-choice or pro-life. Some of us declined to answer, but of those who did, all (including me) were in favor of abortion rights, except for one person. Did this raise questions about whether we could be balanced our coverage? Maybe it did, although we seemed to get the same number of complaints from the pro-choice and pro-life sides. To the extent this was a problem, I don’t know what we could have done about it, except to try extra-hard to be fair to the side we didn’t agree with. Nobody asked my opinion on this or any other controversial issue when I was interviewed for the job, and for obvious reasons I don’t think newsrooms would benefit from affirmative action policies for conservatives. Journalism is a field which attracts people with particular sets of values, as does medicine, law, teaching, police work, military service and entrepreneurial business, and these values affect your outlook. That’s just how things are. 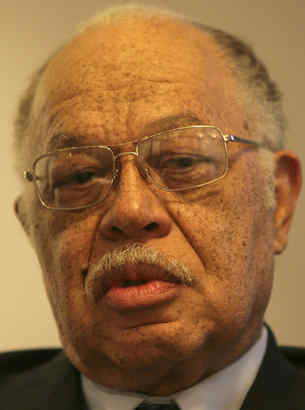 The reason I write about this subject today is that a lot of people evidently think that (1) the murder trial of abortion doctor Kermit Gosnell should have got more coverage than it did and (2) the reason it didn’t is that journalists are biased in favor of abortion. Based on my newspaper experience, I think you have to turn to Chaos Theory to explain why some events become national news and others are only local news. If bias caused the Gosnell case to be under-reporter, this bias affected the right-wing press such as Fox News and the Wall Street Journal as much as it did CNN and the Washington Post. In any case, it is front-page news now.